Mother's Day is coming up, have you thought about what to get mom yet? This beautiful arrangement is filled with yellow roses, green hydrangea, purple lizianthus, pink gerberas, green hypericum berries & thistle. 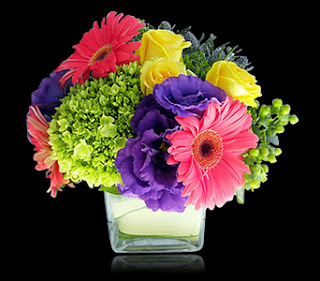 So many bright colors to make someone Positively Cheerful!